"PolyNome's had an amazing impact on my playing! Super flexible tool which opened and still opens my mind to more rhythmical possibilities." From practicing on his first drum kit made of shoe boxes at age 10 to now at age 18 playing music around the world, Euan Leslee has become a versatile and in demand drummer. 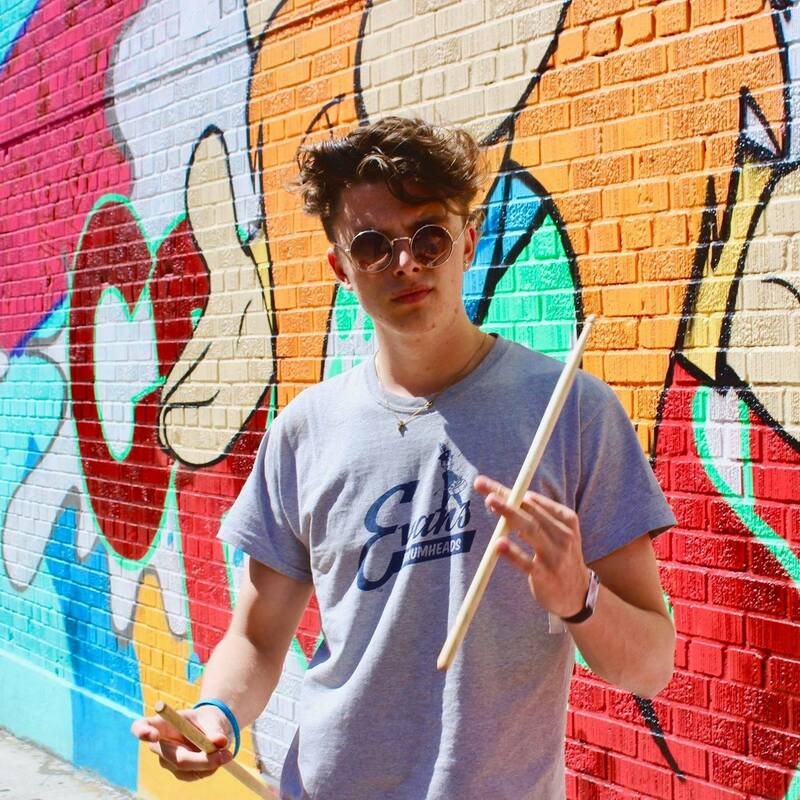 Originally from Dumfries in Scotland, Euan won the UK Young Drummer of the Year 2015 competition which has become a major stepping stone in his life to this date leading him to opportunities (such as) opening and playing masterclasses alongside drummers like Aaron Spears (Usher), Nick Mason (Official) of Pink Floyd, Kaz Rodriguez, J.P. Bouvet, Robin Guy (Sham 69) and Karl Brazil Drummer(Robbie Williams). At (age)16 (Euan) moved to Bristol, UK to be in a buzzing music scene and while there played all the major venues and worked/performed with artists such as James Morton (The Herbaliser, Pee Wee Ellis) playing around England and Europe, Guitarist Alex Hutchings, Tanya Lacey (The Voice UK) and supported people like Actor and DJ Craig Charles with Bristol funk powerhouse band The LBJBs’s. Berklee College of Music accepted Euan with scholarship that same year at 16 and he took it up at 18 and has since toured the US with Country Artist Caroline Gray, received a Latin Grammy Scholarship, Recorded with various artists like pianist Jesús Javier Molina Acosta, a finalist in the Blue Man Group Drum off and is working with musicians such as Marko Djordjevic, Neal Smith, Henrique De Almeida. I love that it’s straight forward to use. I like that I can come up with my own exercises very easily. It’s a super flexible tool which opened, and still opens, my mind to more rhythmical possibilities.